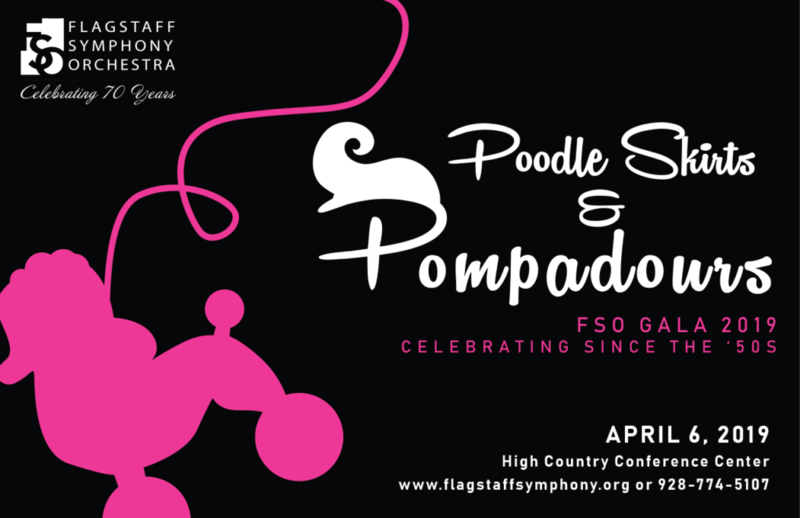 The annual Flagstaff Symphony Orchestra Gala, our primary fundraising event of the year, will be held on Saturday, April 6th, 2019 at the High Country Conference Center. This year, the Gala celebrates the milestone of our 69th season with the theme Poodle Skirts & Pompadours. Once again it will be a wonderful evening of dining and dancing, musical entertainment, and a live and silent auction. Chat with your friends and be ready to bid on April 6th. Many auction items are designed for groups or couples. 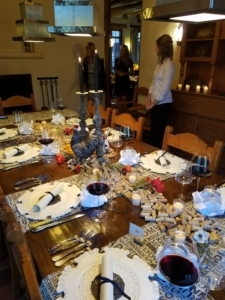 Come and enjoy a delectable dinner for 8 at the Historic Colton House nestled in the pines by the Museum of Northern Arizona. Chef Ryan Dee trained at L’Ecole Ferrandi (France) studying under a renowned culinary M.O.F. (Meilleur Ouvrier de France) earning himself a CAP (Certificat d’Aptitude Professionnelle) will once again serve up a gastronomic treat to delight your palates. Chef Ryan’s numerous visits to salons du vin throughout the wine producing regions of France has gained him the experience to suggest the perfect wines to compliment the meal to make this evening a night to remember. We will work with you to coordinate the date of choice and preference of menu. We also support TerraBIRDS community gardens to ensure you are served the best and freshest locally grown foods. If French food is not your preference, no problem, Chef Ryan is also working on the perfect barbecue, we can move the party outside! 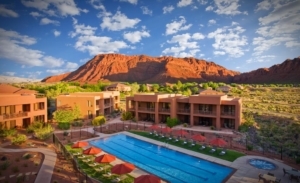 Surrounded by the red sandstone and black lava rocks of Snow Canyon State Park, Red Mountain Resort is the perfect escape for the outdoor enthusiast. Offering a range of activities from guided hiking, biking and canyoneering to world-class spa treatments, there is no better place to rejuvenate or discover your passion for adventure. 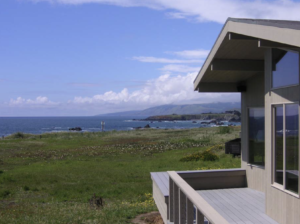 Located on the rugged coast of Sonoma County, California, in the heart of Wine Country, this modern oceanfront home has unimpeded views for 30 miles. It sits on a full acre of land just steps from the beach. Bella Vista features three bedrooms and comfortably sleeps up to six people. The private deck has ocean views. All the modern conveniences await you, such as high-speed wireless internet, cable tv, surround sound stereo, and a large music and video collection. Bella Vista is a short drive from the Russian River Valley, where some of the best Pinot Noir in America is grown. A 90-minute drive takes you to the famed Napa Valley, home to many top-rated Canernet Sauvignon and Bordeaux-style wines. Sonoma County has miles of hiking trails and is one of the most bike friendly areas in California. Imagine yourself behind the wheel of a NASCAR racecar, suited up and speeding along at speeds of up to 150 mph. 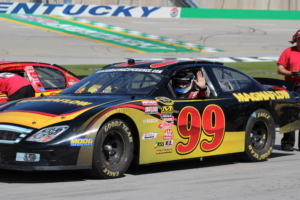 What a thrill being behind the wheel of REAL NASCAR racecars that have all been raced in competition. You start the day being suited up. Then a 45-minute classroom session happens. Finally, the experience of a lifetime, 10 laps of putting the pedal to the metal and seeing if you have what it takes to be a NASCAR driver! Note: If NASCAR driving experience is not available or is not offered in your city, you are required to pay for your own travel. Spend 7 nights in one of our Casas, great for 2 couples or a family. 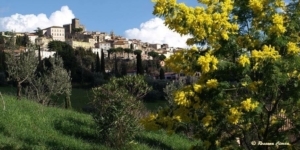 Become a native Italian in the amazing region of Tuscany. Our Casas are situated in the ancient hill town of Manciano with its Sienese styled fortress. The area, that is known as the Maremma, embraces and lavishes enchanted beauty and tradition like no other place in Tuscany. Jeanie was the K-8 Music Educator for West Sedona School for 22 years. She is part of several bands and musical groups: the Sentimental Journey Big Band, a jazz/pop combo called Jeanie & The Gemstones, sings on and off with the Master Chorale of Flagstaff and directs a small women’s Sweet Adelines barbershop chorus called Red Rockapella. 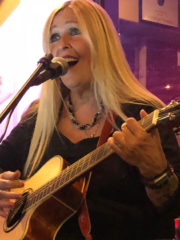 Last year, Jeanie attended the Carnegie Hall Music Educators Conference in NYC and the Chicago-Paris Cabaret Connexion in Chicago. She will attend this year’s Cabaret Conference in Paris, France in September. She is in rehearsals with a play called Vesta with the Emerson Theatre Collaborative in Sedona set for April 12th and 13th. Steve is a jazz pianist/vocalist formerly from Chicago, now living and working in Sedona, Arizona and Vanderbilt, Michigan. Steve is also a composer and producer, and he has released five CDs in his name. Spent his college years at the Berklee School of Music in Boston where majoring in trumpet, at the University of Illinois in Champagne-Urbana, at the American Conservatory of Music in Chicago and at Eastern Michigan University. All the while Steve played piano with many jazz greats and has been a professional musician ever since with many CDs to his credit. Steve Douglas began his music studies in Michigan, performing with various jazz and symphonic ensembles before moving west. 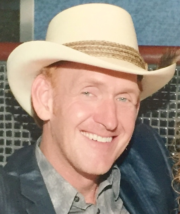 He has performed locally and across AZ for the past 15 years as a performer with a number of his own bands, such as ZAZU, a gypsy swing group; Pop Goes Vivaldi, a classical pop trio; SoundScape Sedona, the Sundown Quartet, Sedona Guitar duo, Ironwood, and many others. Steve plays all styles, including 60’s pop. bluegrass, western swing, Motown, funk, Baroque, jazz, and blues. Eric has a Masters of Music degree at Youngstown State University. During those years he played classical piano and guitar and added sax, vocals and several other instruments to his arsenal. (Even tuba, but don’t tell anybody). 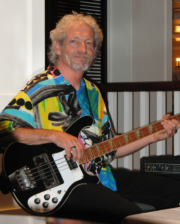 He plays everything from classical to classic rock with a preference for the Great American Songbook of the 1930s and 40s and early rock n roll and rhythm and blues from the 1950s and 60s. He’s recorded 4 CDs and a DVD and has been a professional musician for 35 years. 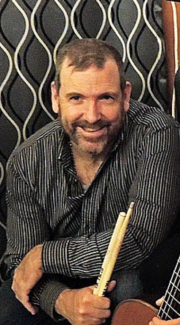 Kevin attended Berklee College of music, worked in the NYC Theater district as a pit musician playing for several theater productions. He is a member of ASCAP playing television soundtracks for commercials and television sitcoms. He played on the east coast with several jazz ensembles. 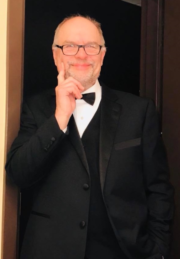 He played timpani with Queens NYC wind ensemble and played for Sedona Jazz on The Rocks organization backing several performers in JOR festivals. Currently, Kevon is teaching drum set performance privately and working on developing a jazz trio focused around drum set performance.